Poor service from sky, why would customers cancel? 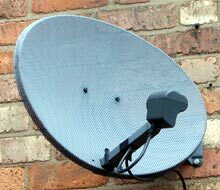 I recently subscribed to the Sky TV, Broadband, and Telephone service, after having been with Telewest and Virgin Media for the past couple of years. What a disaster! First of all, the TV service is mediocre at best. You scroll through dozens of worthless, shopping, adult, gaming, pay-per-view, and radio channels before you get to the ones anyone other than a minority of the population really want to watch. Sky Talk (the telephone service) required me to sign up with BT (something I did not really want to do) and pay a monthly line rental fee to them. Then, in order to get the Internet service they sent me an ADSL router that they said I had to use for their service to work, when I already had a similar router from a house I lived in previously. If that was all there was to it then I probably would not be writing this now, but it is not! The Broadband service is slow to VERY SLOW in my opinion (and I live near the junction box so it should not be) and it is constantly dropping the connection with the Sky server. I tried to contact Sky customer service and I could not get through for two days. Then to add insult to injury they wanted to charge me for discussing the problems I was having with their services to the tune of up to .09p per minute! I was on the telephone with Sky customer service for over 42 minutes... on this call alone. Now combine that with the thousands of calls they receive everyday and I will let you do the math. WHAT A JOKE! Why should I, or any customer, have to pay to speak to someone about a problem with THEIR service? The sheer audacity of any major corporation wanting its customers to pay to speak to them is insulting. Virgin Media do not do this, especially if you are using their telephone service. I realise this is a common practice by lots of major companies and banks, etc. But I for one, refuse to go along with this practice anymore. I have notified my bank and every other company I deal with that has this service that either they provide me with a standard or free-phone number or I will no longer use their services. To date all but one has complied. The point is, Sky and many of these same companies are counting on the customers they claim to care for so dearly to pad their wallets even further. Well not me, never again! By the way, I am going back to Virgin Media where I had excellent service. Sky tried to claim I signed a 12 month contract with them and I would have to pay regardless until I told them that I would sue them for breach of contract because I did not receive the service I was promised and they could expect a letter from my solicitor. I have not heard from them since. Find it hard to believe that they 'made you sign to BT' when Sky have their own telephone line rental package, which is necessary to have Sky broadband. I think you must be mistaken as I've had Sky phone and broadband for three years and wasn't told to go anywhere near BT. I can't understand at all why you would complain about receiving a brand new ADSL router when you already had one, I doubt they forced you to use it and even if they did, it's BRAND NEW whereas the old one is bound to break down eventually, therefore they've given you a free replacement! Go Sky!! And another thing, if you have Sky phone, then you don't pay for calls to Sky centres, so there's a charge 'to the tune of' NOTHING for your call. Personally, I think you're just on here for a gripe and to tarnish a good company's name. if i cancelled my sky, which i'm considering am i entitled to my month in advance money back or the months viewing that's paid for in advance. as when i was with cable many years ago i wasn't allowed it.been with sky for 10 yrs but now i'm finding it to expensive. Sky have some ten million customers! They don't care about losing customers. They pay their teleprompter readers over at Sky News very, very well, apparently. I don't use 'em but my sister does. Brain-dead TV! I'm cancelling my own Virgin Broadband soon and going back to the old USB dongle at sixteen quid a month! I've no need for 'high-speed broadband' or 'unlimited downloads'. Used a USB dongle for two years without incident and had a download allowance of fifteen GB a month, enough for the odd download of CSI Las Vegas and some other stuff! joined Sky 4 months ago, moved out of property last week and tried to cancel the contract and told I cant unless I pay for remainder of the 12 month contract, I was under the impression that whilst you couldnt cancel just to swap provider but could if moving out, they said I can take the contract with me to new property but will be living in a caravan for rest of year due to work. Very unfair that customers cant cancel when moving out of property. Wont recommend them to anyone and will never go back to them as the customer service is very bad when I tried to find a solution to the problem also was on phone for half hour before I got to talk to anyone and I was paying for that! Then they wanted me to ring them back again! Very bad service. I am going to cancel my Virgin Media contract. Our telephone line and phone service has completely failed 4 times this calendar year . Each time we have had to stay in for the engineer to come in to fix it, only to find out that the problem is in the street with the Virgin Media infrastructure. Each time the engineer reports it as loose wires in the box in the street. Today I was called by a Virgin Media Manager, to apologise. A apology is really no good at all. We are of an age when a telephone service is vital, critical in the event of illness, or whatever. We do not expect a service like the telephone service to fail. The Virgin Media Manager responded to us saying that we could not expect 100% reliability from a telephone service. Ola, what country does he live in? If a Manager at Virgin Media says that we cannot expect a near 100% reliability for a home phone service, it's really time to say bye-bye to their contract. They will now lose me as a customer, a loss of nearly £80 to them. Perhaps not enough to oust their owner off his West Indian Island, to deprive him of his income, but maybe we can start a trend. The Manager at Virgin Media did offer to pay my expenses for having to use an alternative telephone service (mobile line) whilst our main line was out of order. But we would ahve to submit to him a full list of all the calls we made. Ha-ha, is that some kind of very bad joke? Do I have time to do that? Like hell!! Bye-bye Virgin Media: you have lost a customer! Perhaps this notice will mean VM will lose many other customers. i have 3 legal connections wd sky cable.but still d service i'm getting is so consistently lousy.u can dial sky's service connections even for u can't still contact any service receptionist on the phone for ur complaints..
@ uk resident, if u want to cancel the mcafee internet security, u need to do this via the website, all of this would have been detailed in the letter/email sent to you around the time of activation. if u requested not to have the service the cancellation should have been done just after activation by u.
u also need 2 check thru ur previous bills to c y u were over charged as u put it. sky dont over charge customers unless there are excessive calls or may be cli charges (for customers with multiroom) tel line not connected to both boxes. It must be worth mentioning that SKY are part of the SAME company as the News of the World was so anyone defeding them is defending such attrocities as what the News of the World did (I 100% believe the heirarchy knew about it). As for SKY TV I just cancelled mine and they are trying to bill me for £30.75 even though I paid a month in advance, like every customer, and they actually owe me money! If a million people cancelled and recieved then paid a bill of £30, that would be £30million pound Sky got for fresh air! Scandolous, but you won't read about it in the Sun, cos they own that too. After receiving 2 threats to have my extra room subscription doubled because of problems caused by B T, and picture freezing on numerous occassions and added to this phone calls with regard to my lapse on my warranty,it was the last straw and I decided the time had come to cancel my subscription to sky. The day after I found my programmes curtailed, everything I had recorded, stopped and the pause control not working. This has all happened even though I am still in credit. Fair? I do not think so. So beware of cancelling your subscription before your new system is up and running! Sky make so much money that they can afford to lose customers. One operative told me to leave if I can't afford Sky prices but they were overcharging me every month. Their excuses for overcharging me ranged from being charged for the 150 number you dial for customer service which I thought was free initially to putting internet security on my broadband which I declined when I signed up with them but they refuse to take off. to cut a long story short, unknown to me SKY never did a seamless changeover with VIRGIN , out of the blue I received a bill from VIRGIN for 7 mths phone rental , I have now been forced to pay VIRGIN for a phone line I thought was disconnected ,or I was going to be credit blacklisted. I have tried phoning SKY emailing them have sent docs and details of all of the VIRGIN stuff and I have heard nothing from SKY, they are just not interested in people, at least VIRGIN was customer friendly , next step is to change back when contract is up in 4 months time , thats the only satsfaction I will get ! absoultely agree with you.. SKY is milking money from the customers and squeezing..i am unable to watch the sky for the 15 days after the recent snow.. the respond to the complaint was very poor and they ask us to go for annual maintenance anything and everything.. their monopoly in this field and squeezing the common man. I know that there is no fault with the setup box or with the wire..they need to check only the cable connection at the top of the dish, which we can't climb and check.. to do this they charge £70 !!! Seeing your article is so timely it's almost ridiculous. I have just ended my Sky account after being with them for several years. This was by no means a rash decision. I continued with Sky despite finding out that they had been charging me an extra fee (which conveniently came under an inconspicuous heading like "admin" or something similar that you wouldn't normally query) for not having my Sky box connected to a phone line. Both my boxes have been consistently connected to the phone line. I brought this up with Sky who said that it had been going on for too long (18 months or so) therefore I was not entitled to a refund. Funny how when they take your money it's "too long" to do anything about it but let it be the other way around and debt collectors will be knocking at your door. The last straw came today when I called up to make a payment to clear arrears I had on my account. I contacted Sky last month because I was having problems clearing a bill, and set up a payment plan. Fortunately (or so I thought), I was able to clear it sooner than I had expected therefore I called to pay. They said I had to pay the arrears of £39.55 plus an advance payment so the total was £75.47. Despite this without permission they took £76 from my card, regardless of it being a matter of 53p this is fraud as I did not authorize this. After payment I was told I HAVE to set up a direct debit before the service will be reinstated, when I refused because of my previous experience, I was told I would have to pay for TWO months in advance. I found this to be utterly ridiculous. Which service provider charges 2 months in advance? Sky made absolutely no effort to apologize nor to accomodate me despite my years of loyalty, they practically showed me the door. Normally I wouldn't take it further, but I feel that I have been so poorly treated that I intend to take the matter further. To be honest the speed of my connection I am getting from Sky Broadband is totally unacceptable and is basically just on the same speed as dial up as it is 0.08 meg which isnt the speed you should expect when your paying 17.99 for up to 8 meg and instead am getting well below 1 meg nevermind above it, I never had problems with BT as when it came to browsing the internet or playing the xbox online I really never experienced lag but this is basically a rip off and can anyone tell me if there is a way of cancelling sky broadband without paying the cancellation fee as I think Sky has ratted me out of enough money already and I dont think they really deserve to take anymore from me as of the disastrous internet service they have given me.